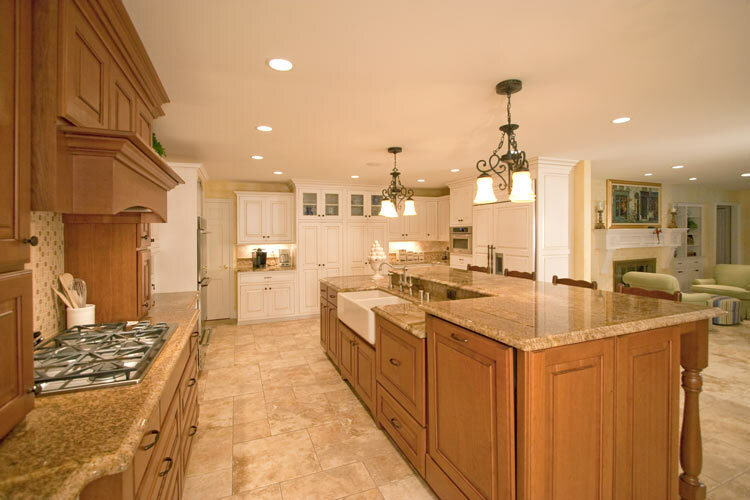 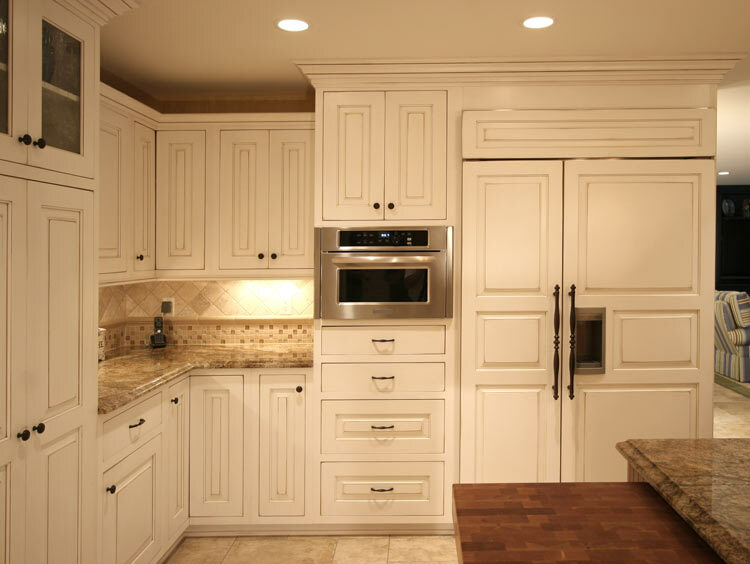 Chenequa Kitchen, this award winning kitchen was part of a Gold Award remodeling project over 1 million dollars. 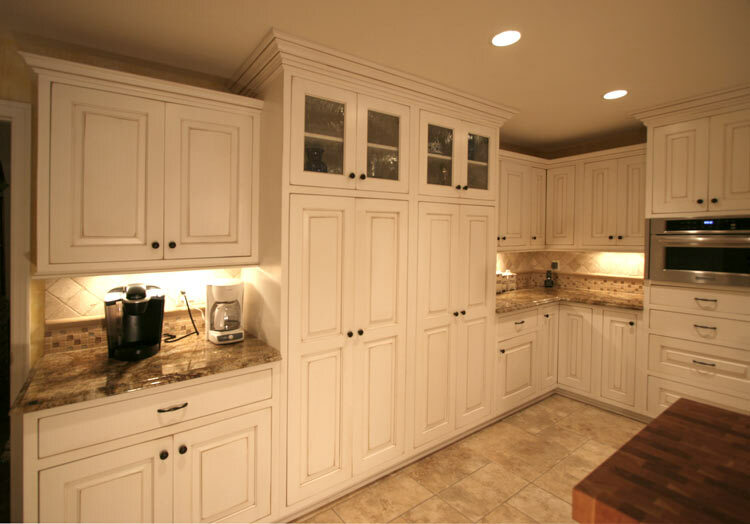 This ultimate kitchen featured Maple cabinetry painted Snowdrift with a Mink Wash in Matte finish and a Vintage Artistry applied as well as accented by Cherry cabinets stained Briarwood with a Mocha glaze in a Matte finish. 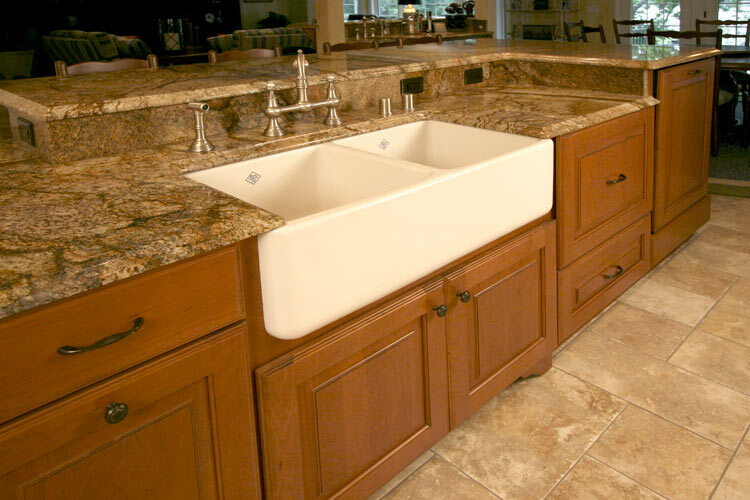 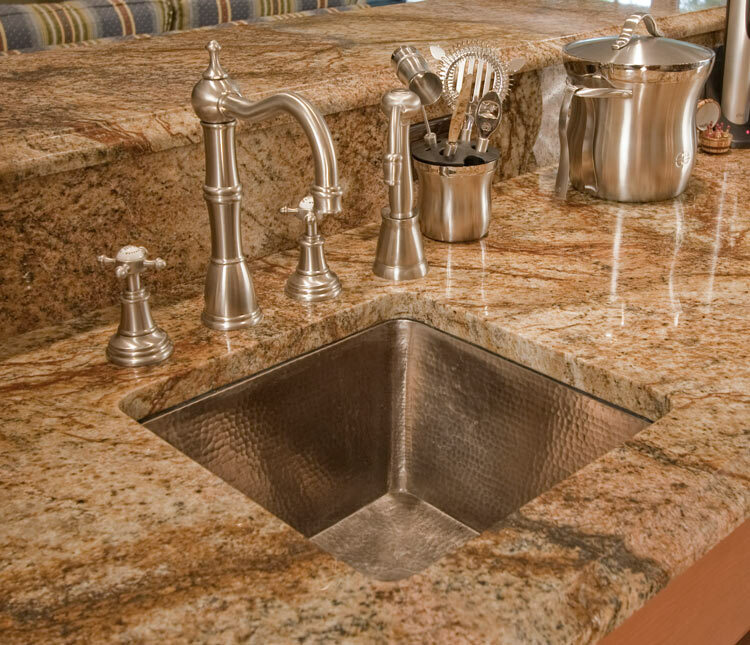 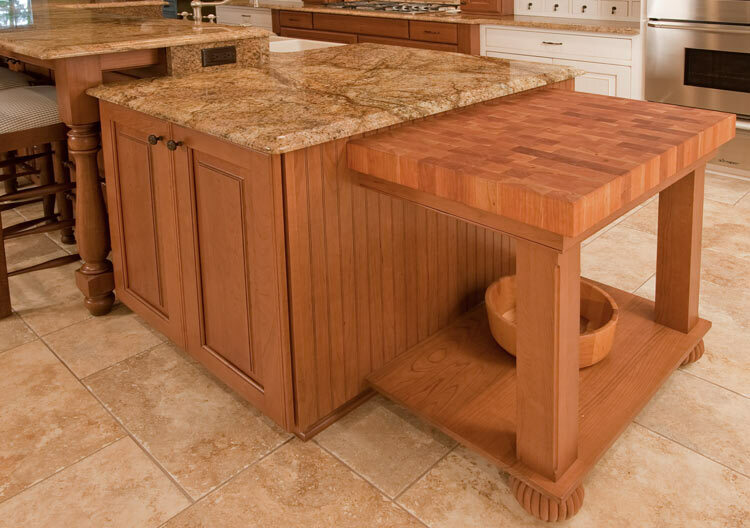 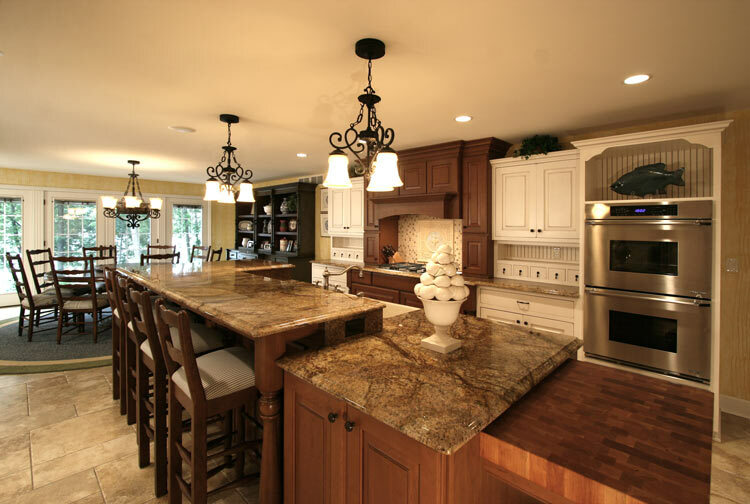 Beautiful Persian Brown Granite countertops finished the look in both the kitchen and wet bar area. 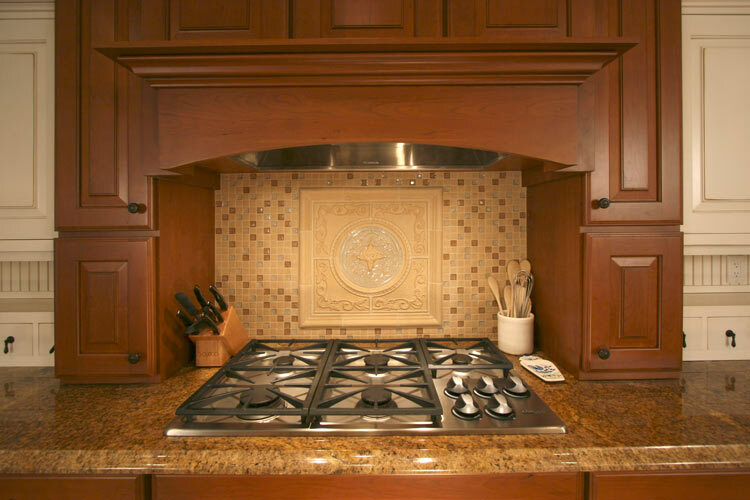 The tile flooring in various sizes was installed in a hopscotch style pattern and the natural stone mosaic tile with a Caspian border complemented the backsplash areas. 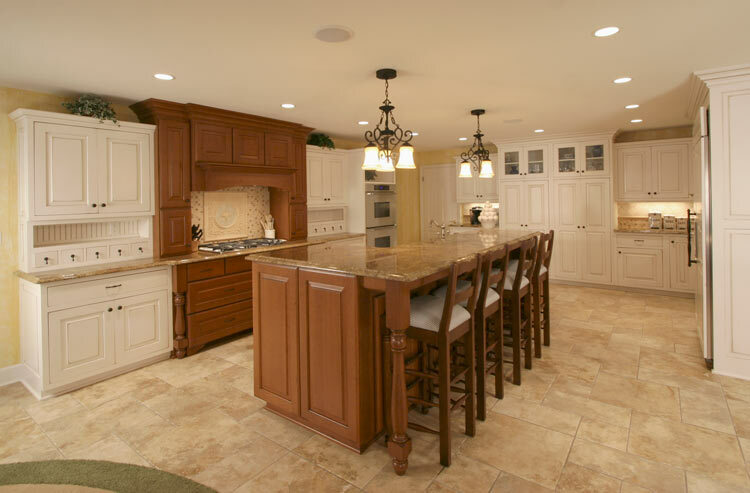 Abundant space now provided for entertaining family and friends.